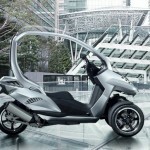 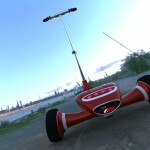 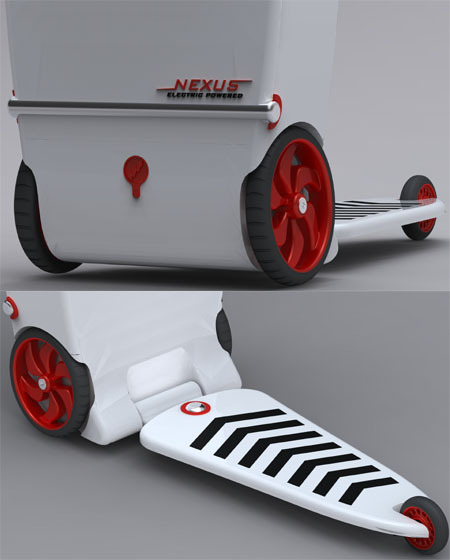 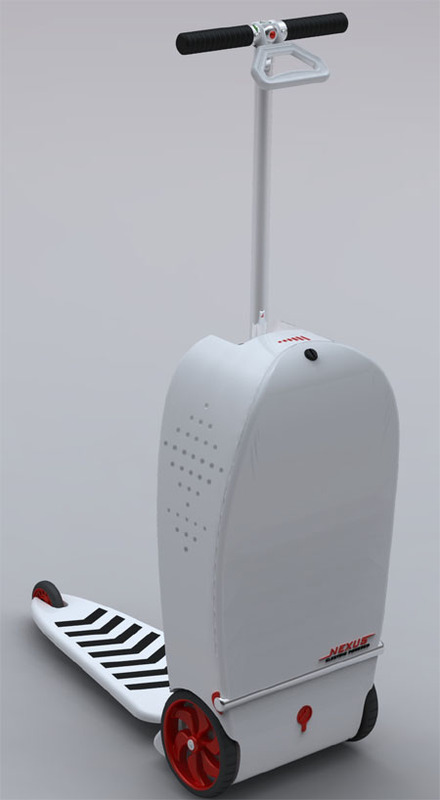 Nexus is an electric powered scooter concept designed to be a great short commuting solution inside the airports. 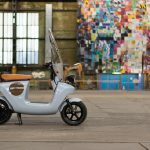 The front wheels of the scooter comprise two electric engines powered by four 12 V batteries that gives 2 hours of continuous use. 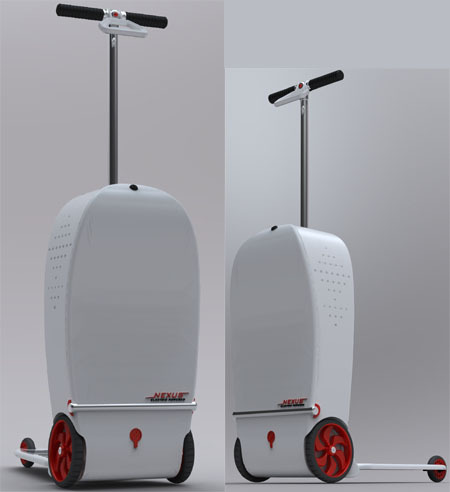 The rear part is a freewheel that gives a third point of support to the user that ensures up to 110 kg of load to be carried. 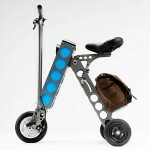 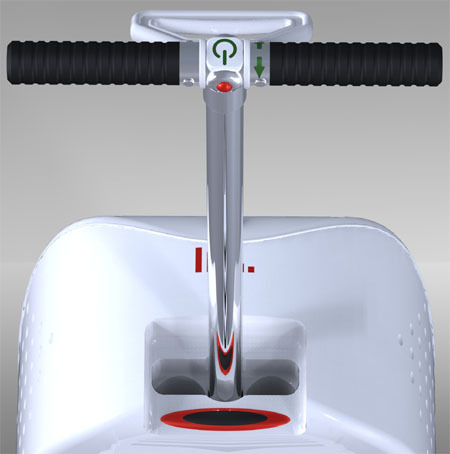 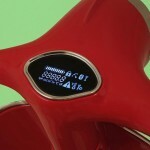 The front part of the scooter contains the power plug that can be used either 110v or 220v whichever is available. 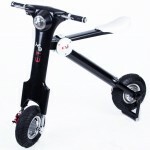 The handlebar, made of 6061 aluminum, contains the ignition system and the speed controller to adjust the speed up to 15 km/h. 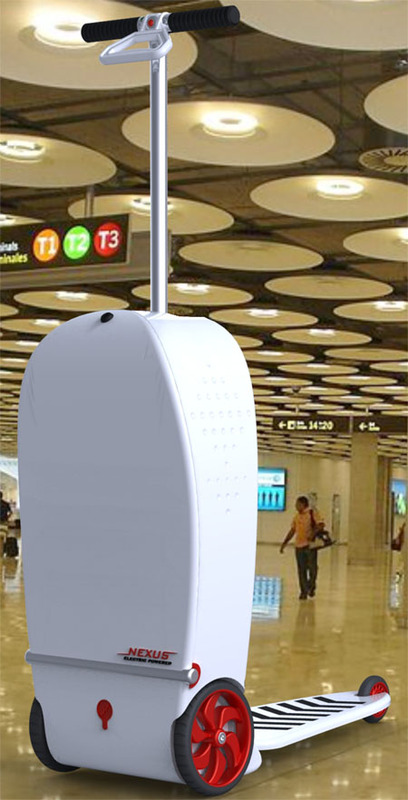 Nexus can become a more interesting and intuitive way of passing time and moving around for someone who may have to spend several hours in airports during transit period. 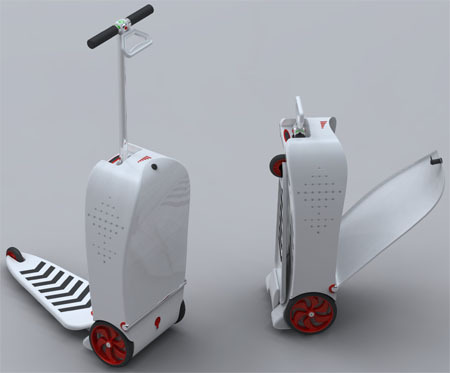 Tagged as airports, electric engines, electric powered scooter, handlebar, intuitive way, lupin, nexus, passing time, speed controllerfreewheel.